If you produce magazines, newspapers, brochures, reports, or other printed content, chances are you’re always looking for opportunities to expand your readership and grow your brand. One way you can do so is by adopting a mobile publishing strategy. As you know, the internet is playing an increasingly bigger role in our lives with each passing day. Here is some information that will help you use mobile publishing strategies to grow your brand. For the past decade or so, the digital marketing industry has grown at a rapid rate. This is attributable to the fact that there are now over three billion Internet users worldwide. If you want to make it big in the digital marketing industry, your best bet is mobile publishing. Without a doubt, the mobile platform is taking our daily lives by storm. Nowadays, you will be hard-pressed to find someone who does not own a smartphone or mobile device of some kind. 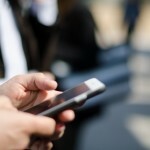 Your mobile publishing strategy should feature SMS marketing and delivery. 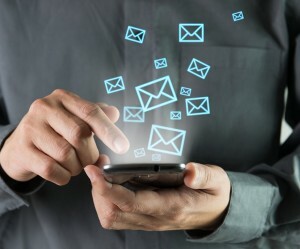 SMS is one of the best ways you can reach out to your audience about your digital content. The vast majority of people open up their SMS messages within just a few minutes of delivery. Therefore, this makes SMS marketing a great way to alert your readers about your new digital content. Not only can you use SMS messages to market your content, but you can use SMS messages to enable your readers to access the digital content on their mobile phones for convenience. Native advertising on mobile is another feature you should consider incorporating in your mobile publishing strategy. The main advantage of native advertising is that the ad experience is seamlessly incorporated into the form and function of the mobile user experience. 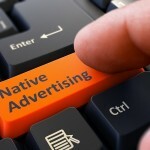 This allows the native ad to appear and function like natural content. Native ads are far less intrusive to the user experience, which ensures readers will not perceive your advertisements as spam. You will find that native advertising can play a big role in growing your brand, as users tend to look at, and click on, native ads more than traditional display advertisements. One of the main advantages of adopting a mobile publishing strategy is accessibility. The vast majority of people carry their mobile phones and tablets everywhere they go. Desktop computers can only be accessed at home or work and laptop computers are often too heavy and cumbersome to lug around. If you adopt a mobile publishing strategy, your readers will be able to access your digital content any time and anywhere. 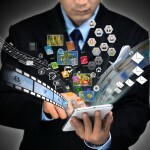 Another advantage of adopting a mobile publishing strategy is the portability. Many people are taking advantage of the convenience of mobile devices by downloading magazines, newspapers, brochures, and other content onto their phones. Not only is this convenient, but it also cuts down on paper and clutter. If you’re looking for a way to create new streams of revenue and digitize your content, you should look into the digital publishing industry. As you can see, there are many advantages of adopting a mobile publishing strategy to grow your brand.